The bookmark has a tear away edge that allows you to take your sticks into the garden and keep the bookmark handy for that next favourite novel. Printed on 100% recycled board. We use soy and vegetable based inks. 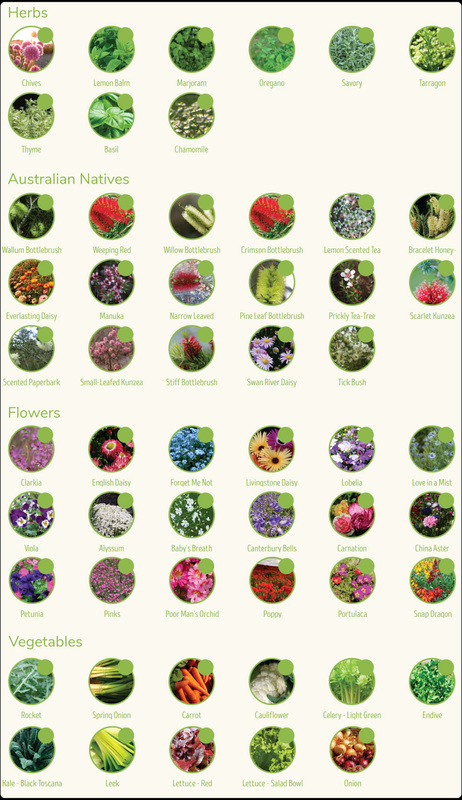 Your seed of choice from our website. Product size when assembled 165mm x 42mm.